Part 1 of my two-part series introducing LibGuides CMS for use as a library website. Also read Part 2: Making LibGuides Into Library Websites (March 27). LibGuides is a content management system distributed by Springshare and used by approximately 4800 libraries worldwide to curate and annotate resources online. Generally librarians use it to compile subject guides, but more and more libraries are also using it to build their websites. In 2014, Springshare went public with a new and improved version called LibGuides 2.0. When my small university library upgraded to LibGuides 2.0, we went the whole hog. After migrating our original LibGuides to version 2, I redid the entire library website using LibGuides, integrating all our content into one unified, flexible content management system (CMS). 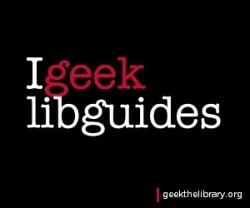 Today’s post considers my library’s migration to LibGuides 2.0 as well as assessing the product. My next post will look at how we turned a bunch of subject guides into a high-performing website. According to the LibGuides Community pages, 913 libraries worldwide are running LibGuides v1, 439 are running LibGuides v1 CMS, and 1005 are running some version of LibGuides 2.0. This is important because (1) a lot of libraries haven’t upgraded yet, and (2) Springshare has a virtual monopoly on the market for library resource guides. Notwithstanding, Springshare does offer a quality product at a reasonable price. My library pays about $2000 per year for LibGuides CMS, which adds enhanced customization and API features to the regular LibGuides platform. We did consider dropping LibGuides in favor of WordPress or another open source system, but we concluded that consolidating our web services as much as possible would enhance ease-of-use and ease training and transitions among staff. Our decision was also influenced by the fact that we use LibCal 2.0 for our study room reservation system, while Florida’s statewide Ask a Librarian virtual reference service, in which we participate, is switching to LibAnswers 2.0 by summer 2015. LibGuides, LibCal, and LibAnswers now all integrate seamlessly behind a single “LibApps” login. Since the upgrade is free, we decided to migrate before classes recommenced in September 2014. We relentlessly weeded redundant, dated, or befuddling content. I deleted or consolidated four or five guides, eliminated the inconsistent tagging system, and rearranged the subject categories. We picked a migration date, and Springshare made it happen within 30 minutes of the hour we chose. I do suggest carefully screening your asset list prior to migration, because you have the option of populating your A-Z Database List from existing assets simply by checking the box next to each link you want to add to the database list. We overlooked this stage of the process and then had to manually add 140 databases to our A-Z list post-migration. Otherwise, migration was painless. Springshare’s tech support staff were helpful and courteous throughout the process. Check out Margaret Heller and Will Kent’s ALA TechConnect blog post on Migrating to LibGuides 2.0 or Bill Coombs’ review of LibGuides 2 for other perspectives on the product migration. Mobile responsive. All the pages automatically realign themselves to match the viewport (tablet, smartphone, laptop, or desktop) through which they are accessed. This is huge. Modern code. LibGuides 2.0 is built in compliance with HTML5, CSS3, and Bootstrap 3.2, which is a vast improvement given that the previous version’s code seems to date from 1999. Custom URLs. Did you know that you can work with Springshare and your IT department to customize the URLs for your Guides? Or that you can create a custom homepage with a simple redirect? My library’s website now lives at a delightfully clean URL: library.hodges.edu. Hosting. Springshare hosts its apps on Amazon servers, so librarians can focus on building content instead of dealing with IT departments, networks, server crashes, domain renewals, or FTP. A-Z Database List. Pool all your databases into one easily sortable, searchable master list. Sort by subject, database type, and vendor and highlight “best bets” for each category. Customizations. Customize CSS and Bootstrap for individual guides and use the powerful new API to distribute content outside LibGuides (for LibGuides CMS subscribers only). The old API has been repurposed into a snazzy widget generator to which any LibGuides subscriber has access. Dynamic design. New features include carousels, image galleries, and tabbed boxes. Hidden code. As far as I can tell, librarians can’t directly edit the CSS or HTML as in WordPress. Instead, you have add custom code to empty boxes in order to override the default code. Inflexible columns. LibGuides 2.0 lacks the v1 feature wherein librarians could easily adjust the width of guides’ columns. Now we are assigned a preselected range of column widths, which we can only alter by going through the hassle of recoding certain guide templates. Grr. Slow widgets. Putting multiple widgets on one page can reduce load time, and occasionally a widget won’t load at all in older versions of IE, forcing frustrated users to refresh the page. Closed documentation. Whereas the older documentation is available on the open web for anyone to see, Springshare has locked most of its v2 documentation behind a LibApps login wall. No encryption. Alison Macrina’s recent blog post on why we need to encrypt the web resonated because LibGuides’ public side isn’t encrypted. Springshare can provide SSL for libguides.com domains, but they can’t help with custom domains maintained by library IT on local servers. Proprietary software. As a huge advocate for open source, I wince at relying on a proprietary CMS rather than on WordPress or Drupal, even though Springshare beats most vendors hollow. That said, we are delighted with the new and improved LibGuides. The upgrade has significantly enhanced our website’s user-friendliness, visual appeal, and performance. The next post in this two-part series will look at how we turned a bunch of subject guides into a library website. Over to you, dear readers! What is your LibGuides experience? Any alternatives to suggest? 2) Inflexible columns. This is because we moved to Bootstrap framework in LibGuides v2. Bootstrap is based on a “grid” layout, which is the underpinning of their fluid, mobile-first system. There are a lot of benefits to this method (most notably the mobile first, fully-responsive design, so your content looks great on every device), but this method does require adherence to the “grid” framework, so the columns can’t be set to just any size as they were in v1. 3) Slow widgets. There are many factors impacting the loading of the widgets (network latency, number of other widgets on the page, etc.) but if you are referring to external widgets unfortunately there is nothing we can do about that since the loading of those is done on servers which we do not control. If it’s an issue with slow loading of LibGuides widgets, please send some examples to our support team and we’ll take a look at it asap. 4) Closed documentation. We did put LibGuides v2 documentation behind the login – our reasoning is that we have so much more documentation now which closely describes/explains the inner workings of the system so we put it “behind the login” for competitive reasons i.e. we feel that if we put it all out there for anyone to see it could give off too much information to any competitors or would-be competitors. So it’s a fine line that we need to walk, but we are making some changes to the login process for the help documentation so that it’s easier to login from anywhere, using your LibApps account. 5) No Encryption for public pages for sites which are on custom domain. Yes, it’s an issue for some of our clients and rest assured that we are working very hard to find some alternatives to offer to our client base. 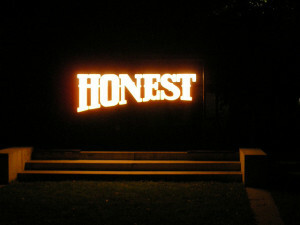 We are committed to resolving this issue – there are significant technological problems to overcome and this will require us closely working with campus IT group for our clients who wish to have https for public pages *and* are on custom domain, but as long as they are willing to do their part, we are committed to finding a solution for this. 6) Proprietary software. Well, as a vendor it would be hard for me to comment on this and say what you’d like to hear :), but we always put our record out there for all to see and we feel it’s a pretty good one. We have done a lot for our libraries in exchange for a modest fee we charge for our tools and for our proprietary software. The value we provide in terms of speedy help, always-available support, free advice, free training, very active and engaging community, giving back by supporting various library organizations, library scholarships and awards… all the while charging very reasonable prices makes our value proposition very compelling, in my view. Also, we actively encourage and seek feedback from our clients and we do act on this feedback quickly and efficiently so one could argue that the pace of development of our proprietary software is just as fast, if not faster, than for many open source packages. Again thanks very much for writing about LibGuides and thank you for doing such cool stuff with our tools – it makes me very proud to see our tools being put to such good use. Thanks Michael, and you’re right that we do need to do a better job with telling clients what’s coming down the pipe and why some design choices were made. This is another thing we are working on in terms of enhancing the documentation – we’ll have a place for clients to see what features are coming and when (we’ll utilize our own Systems & Services Management tool in LibAnswers for this task). We love hearing the feedback from you and all our clients so please keep it coming – we do our best to incorporate client feedback and ideas and turn them into product features. Thanks again! I have reported this to springshare and they say it is temporary- but it is not. Things slow down all the time here.